Gene Autry's horse auctioning business is cut to almost nothing when the Harvester Company begins selling tractors to farmers. In order to earn money, Gene and his cowboy band accept an offer to perform on Sally Dawson's small radio station as a regular feature. He soon learns that the sponsor of his program is the same unscrupulous tractor company, so he, Frog Millhouse, and the troupe refuse to do any more broadcasts and leave town. Continuing Gene's show with transcription recordings, the Harvester Company begins foreclosing on the farmers, who can't meet the monthly payments. In turn, the farmers believe they have been double-crossed by Gene, who returns to clear his good name by destroying the recordings. Also destroyed is the only evidence of the true aims of the Harvester Company. Frog, Sally, and her younger brother Johnny piece the record together and with Gene expose the company for the crooks they really are. 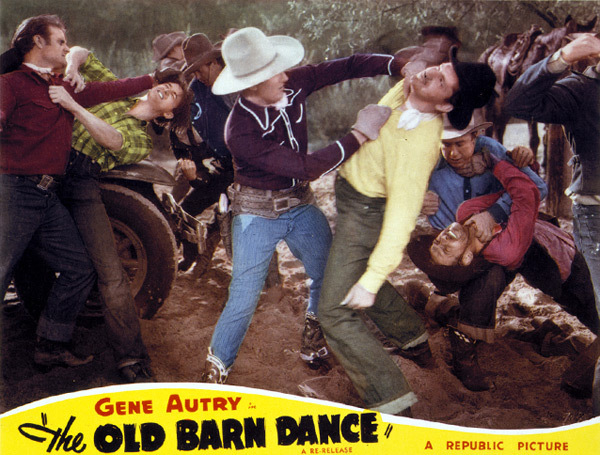 Gene and the boys go back on the radio, and the farmers are freed of their unwarranted obligation.